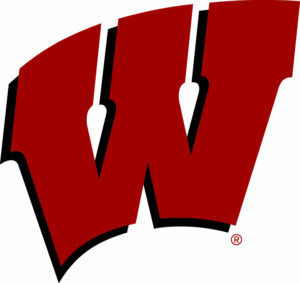 It was another sloppy night of basketball for the Wisconsin Badgers on Wednesday night in Champaign, Ill., but in the end, Bucky found a way to persevere, 72-60 over Illinois. The Badgers (13-6, 5-3 Big Ten) extended their winning streak against the Illini (5-14, 1-7) to 14 games, including seven straight in Champaign. The last Illinois victory over the Badgers came in the 2010-’11 season, a 69-61 win in Champaign. The Wisconsin Badger football team moved a step closer to the Big Ten West Division title, knocking off Illinois 24-10 on Saturday. While the Badgers improved to 8-0 on the season and remain the only unbeaten team in the Big Ten, they once again gave no impression that they are ready to compete against other top teams in the conference (Ohio State & Penn State), or nationally for that matter either. Wisconsin freshman tailback Jonathan Taylor left in the first half with a left leg injury. He had carried 12 times for 73 yards before heading to the sidelines for the rest of the game. Without Taylor, the Badgers finished with 168 rushing yards on 45 carries, their second lowest total of the season. Taylor himself, averages 168.5 yards a game. Without Taylor, walk-on Garrett Groshek rushed 12 times for 51 yards and a touchdown and Bradrick Shaw added 40 yards on 12 carries.